Now that the weather has turned chilly, I've been putting a sweater on Lily that I knitted for my previous Jack Russell, Bo Bo. It's way too big on her and I need to knit a new one just for her, however, that will take some time. 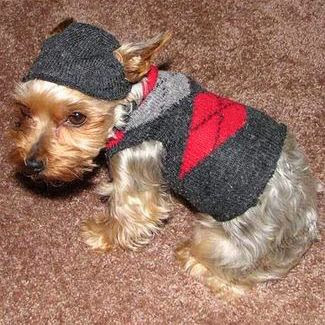 Meanwhile, there are some great DIY recycled doggy sweater ideas I found on Pinterest today. Love the creativity! 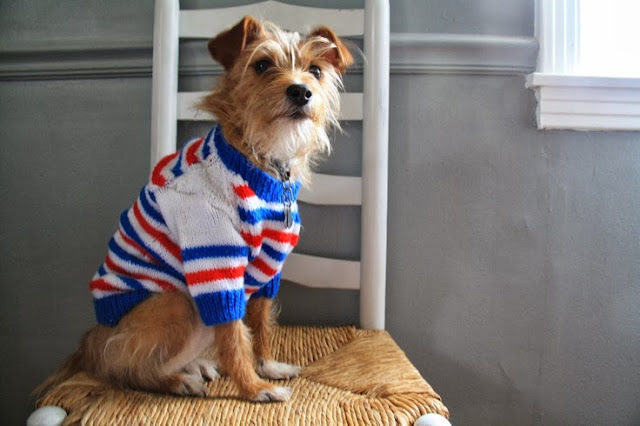 This adorable recycled dog sweater from Blooming Leopold is made from a recycled boy's sweater bought at a thrift shop. Love that! I'll have to make a trip to Goodwill soon. Click here for great instructions on how make this sweater. This adorable terrier's name is Bloom. Lovely! This light merino sporty sweater is worn by Spots from Resweater. Great step-by-step photos and instructions on the website. Click here to see the instructions and visit the Resweater website. Great tutorial! 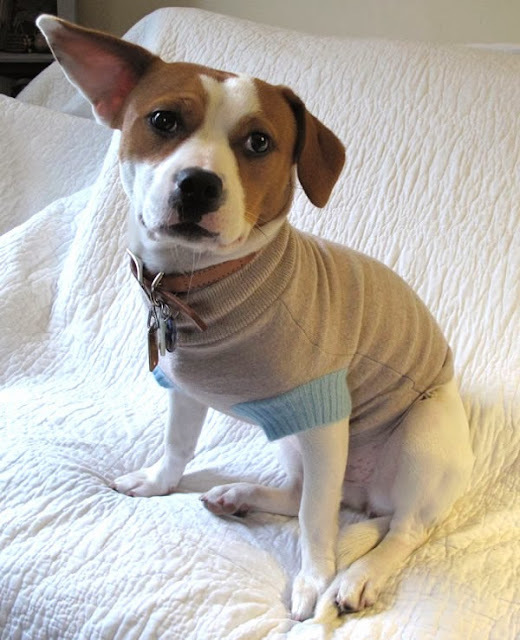 This adorable sweater from Romp Rescue is actually made from a sock! Clever idea for the smaller pups or puppies. Click here for detailed instructions. So cute! I've always loved fair isle sweaters and adorable Gertie is wearing a recycled fair isle made from a sweater vest. Love it! Click here to visit Craft Stylish and get great step-by-step instructions. Hey, I couldn’t find an email address. I want to ask a question about your dog, so can you email me back?